Wombat Security Technologies, a cybersecurity awareness and training company, has announced at HIMSS17 that it is expanding its U.S.-focused Healthcare Security Awareness Training Program to include additional ransomware training to help combat the ever-changing cybersecurity and education challenges unique to healthcare enterprises. 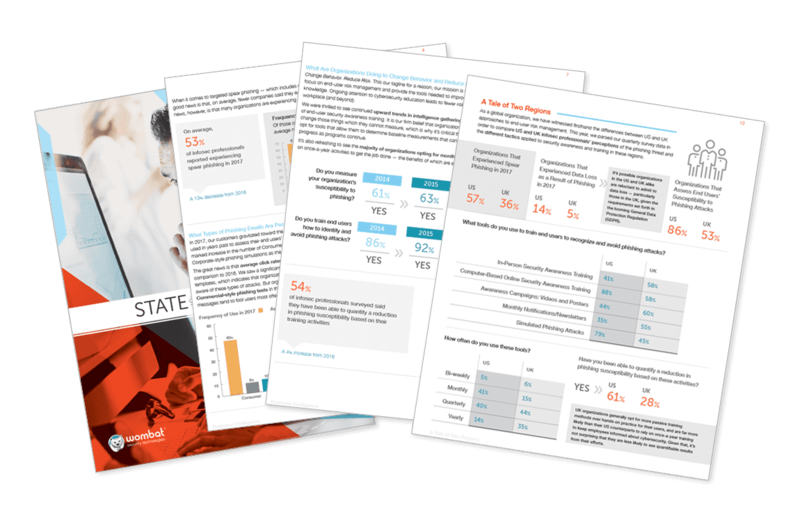 Wombat’s “Beyond the Phish Report” released late last summer looked at nearly 20 million questions asked and answered regarding nine different topics in its Security Education Platform. Staff in healthcare organizations did worse than average in several categories such as phishing, using the Internet safely, protecting mobile devices and information, building safe passwords, and even protecting confidential information, where they missed more questions than any other industry at 32%, Wombat reported. However, Wombat has also seen healthcare clients have great success, such as a recent proof of concept that showed an 86% reduction in vulnerability from a hospital and medical center that implemented Wombat’s training, the company said. Wombat’s Healthcare Security Awareness and Training Program was created to address the unique challenges in a healthcare environment. The program includes a best practices document, providing guidance on running a successful program in a healthcare setting and showing how all of the pieces of this bundle fit into the four key steps of Wombat’s Continuous Training Methodology: Assess, Educate, Reinforce and Measure, the company explained. The Wombat Security team will be discussing the new additional ransomware training at HIMSS17 in Booth 275.